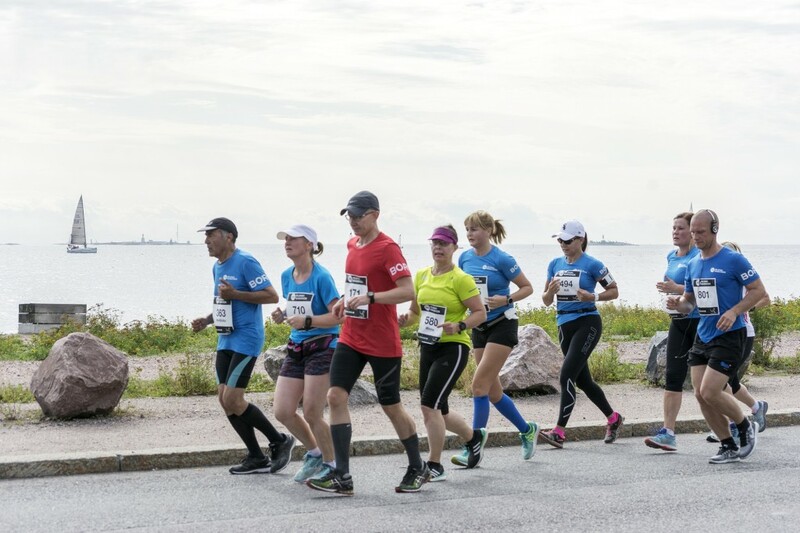 The Helsinki Marathon, a fast-growing marathon event in Autumn, will be run on 24 August 2019! – Run in Finland! Sea views, a flat course, the beautiful city centre with Art Nouveau architecture, a great atmosphere, and optimal weather conditions — that’s the Helsinki Marathon! The Helsinki Marathon was established in the year 2017, when the organisers of the Helsinki Half Marathon saw a need for an international marathon event in the city centre of Helsinki during the Autumn season, as another marathon event had been removed from that time of year, leaving a gap in the running calendar. The first Helsinki Marathon was run on 25 August 2018 with around 1200 registered runners, which actually made the Helsinki Marathon the second-largest marathon distance run in Finland in the year 2018. The Helsinki Marathon is slowly finding its place in the race calendars of runners and is becoming more well-known, both within Finland and also worldwide. Last year, participants came from as far away as China, Australia and Singapore, and a total of 20% of the runners came from abroad. The goal is to attract people from abroad to visit our beautiful city of Helsinki and to enjoy the race and the late-summer weather conditions. In 2019, the distances for the Helsinki Marathon are the full marathon, 10k, half marathon and marathon relay. The marathon, half marathon and marathon relay will all start at 9am, as that time is considered optimal for running the longer distances. The course is AIMS and IAAF measured, and it first follows the beautiful coastline of the city of Helsinki, starting from Meripuisto park in Eira then the delightful coastline of Kaivopuisto before heading through the cosy Art Nouveau-style Punavuori and modern Hernesaari, ending near to the starting point in Eira. The route is designed to be as flat as possible, making it a pleasure to run and good for new personal bests. Finnish people always like to talk about the weather, so it’s never too late to mention that the weather conditions at that time of year are also suited for long-distance running, as the temperature is usually around 13-17 degrees celcius — perfect for a marathon! The Helsinki Marathon in 2018 showed us that there really is potential in having a big marathon event in the capital in Autumn. Finland is a beautiful country in the north, but Finns have a tendency to hide their treasures and not boast about them. But now it’s time to change, to get the crowd on the streets, to show off the best parts of Helsinki’s beautiful coastline and of course offer a great marathon event — a marathon by runners, for runners. We are delighted to welcome all the Finnish and foreign runners to the Helsinki Marathon in 2019!